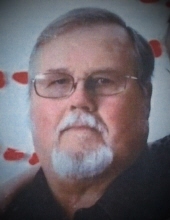 Terry Steven “T-Bone” Deskins, 65, of Argillite, KY, formerly of Catlettsburg, passed away Saturday, March 23, 2019 at Cabell Huntington Hospital surrounded by his family. Mr. Deskins was born December 2, 1953 in Ashland, KY to the late George and Gertrude Stevens Deskins. Steve was a 1971 graduate of Catlettsburg High School and retired in 2010 from Tri State Livery as a hearse driver. He was a member of the Moose Lodge and Eagles for 40 years. Steve was an avid UK basketball and football fan, and a member of Catlettsburg Church of God. Steve is survived by his loving wife of 38 years, Bonnie Ruth Gamble Deskins, their children Steven Kiley Deskins, his wife Mary, of Wurtland, KY and Leigh Ann Deskins of Argillite, KY, sister, George Ann “Phyllis” Paden of Huntington, WV. Also surviving are grandchildren, Karyn Dannyelle Chaffin, Steven Kiley Deskins II, Auston Taylor Deskins, Alexis Mari Deskins, Khloe Nicole Chaffin, and several nieces and nephews. Preceding in death were his parents and brothers, Charles Fredrick Deskins, James Robert Deskins, Larry Franklin Deskins, and Roger Dale Deskins. Funeral service for Mr. Deskins will be at 1:00pm, Friday March 29, 2019, at the Kilgore & Collier Funeral Home, 2702 Panola Street, Catlettsburg. Pastor Jimmy Morison will officiate. Final resting place in Old Fields Cemetery, Argillite. Visiting hours are 6:00pm until 8:00pm Thursday evening at the Funeral Home. In lieu of flowers donations may be made to: American Cancer Society, P.O. Box 22478, Oklahoma City, OK 73123, donate3.cancer.org/. Condolences may be left at kilgorecollierfuneralhoe.com. To send flowers or a remembrance gift to the family of Terry Steven "T-Bone" Deskins, please visit our Tribute Store. "Email Address" would like to share the life celebration of Terry Steven "T-Bone" Deskins. Click on the "link" to go to share a favorite memory or leave a condolence message for the family.